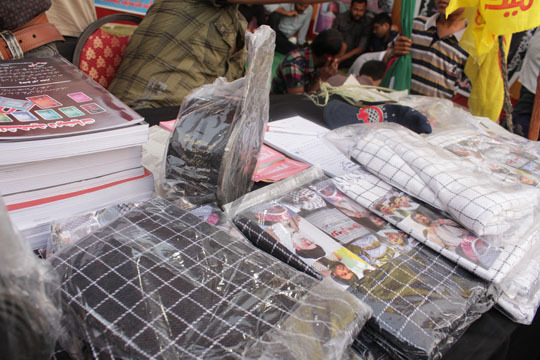 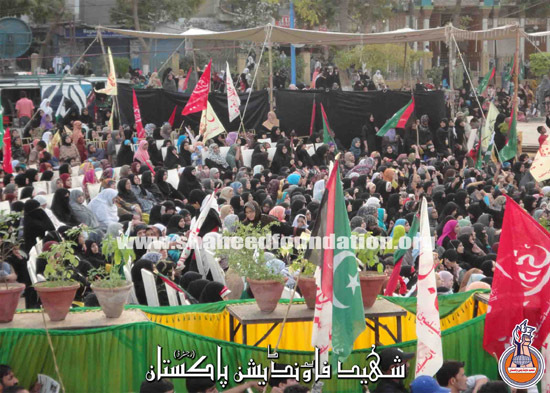 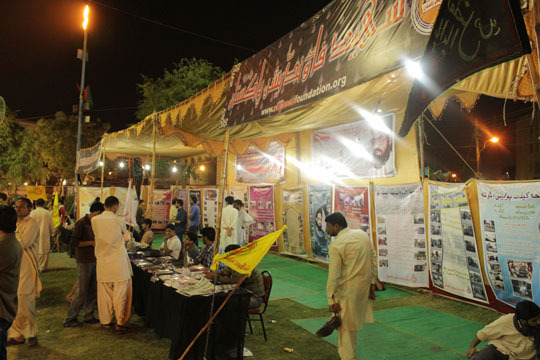 Majlis-i-Wahdat-i-Muslimeen organized grandeur event of "Quran aur Ahl-i-Bait a.s Conference" at Nishtar Park. 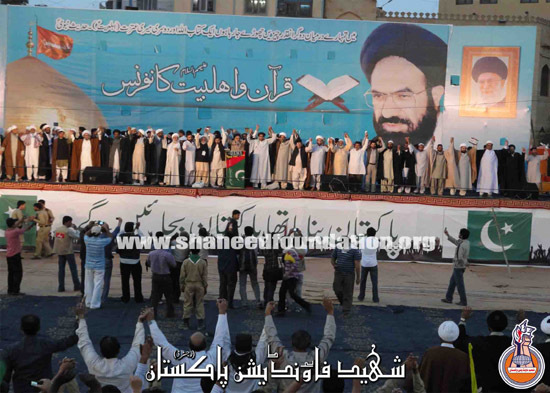 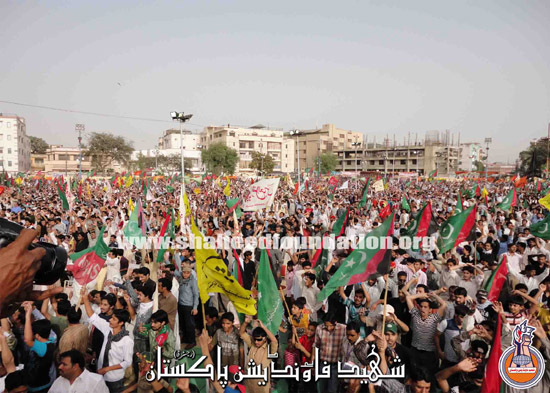 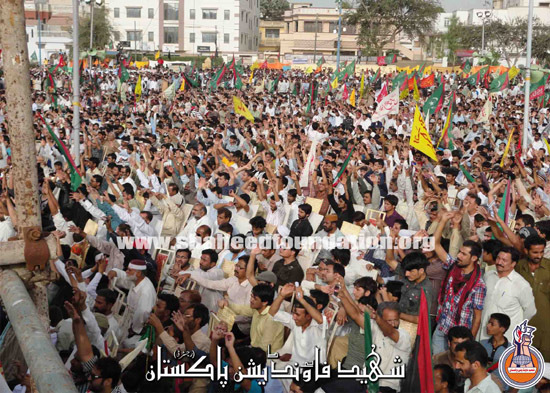 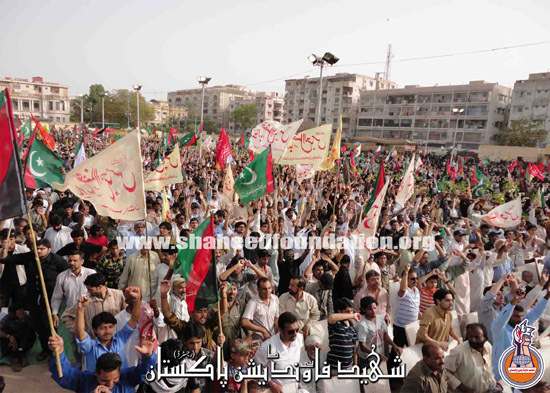 The conference was attended by masses not only of Karachi but outside Karachi including many Islamic Scholars, Organizations and Matami Tanzeem. 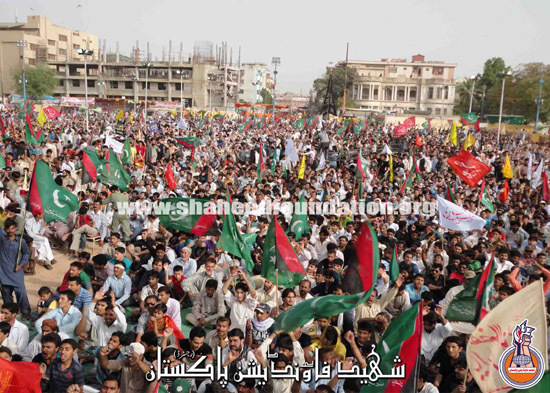 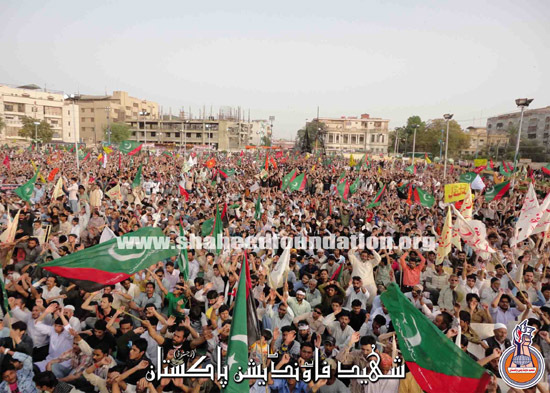 According to a private news channel there was crowd of more than four lac people. 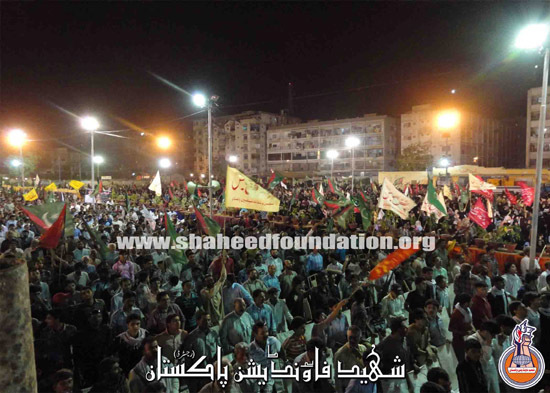 The whole environment was enchanting with the slogans of `Labbayk ya Hussain a.s`. 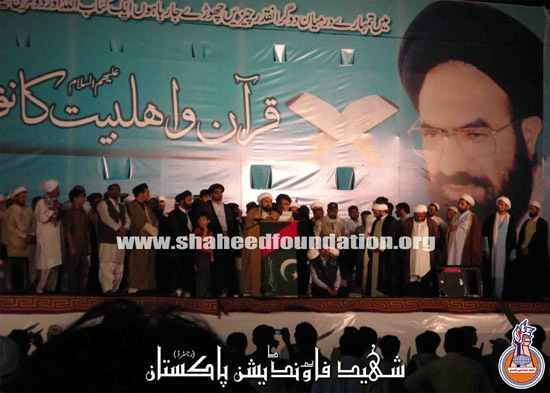 The meeting was presided over by MWM secretary-general Allama Raja Nasir Abbas Jafri in which he disclosed several agendas to be pursued in the socio-political domain. 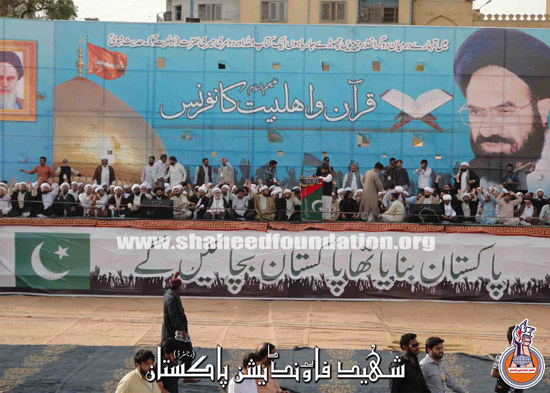 He protested over the perpetual Shia massacre in Pakistan on which not a single political organization showed their concern while remaining silent. 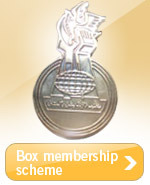 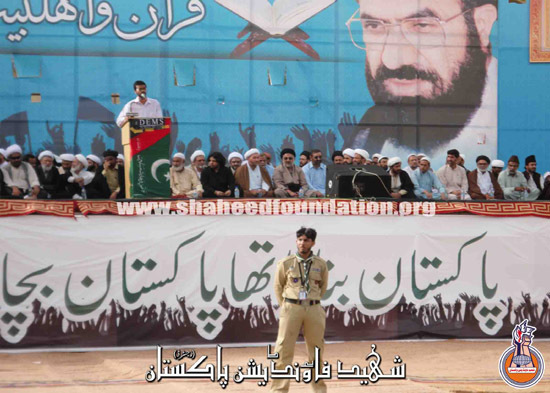 He also announced that the conference will be held throughout Pakistan. 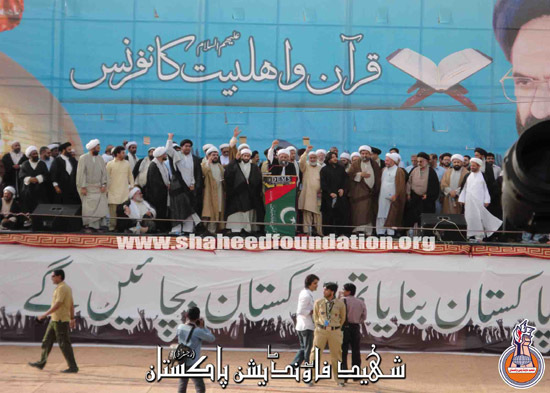 Many prominent Scholars were among the speakers including Allama Nayyar Mustafavi, Hashim Mousvi, Abdul Kahliq Asadi, Sabil Hussain Mazhari, Allama Amin Shaheedi, Allama Hasan Zafar Naqvi, Allama Abbas Kumaili, Allama Yusuf Hussain Mirza, Rehman Shah, Maulana Ali Murtaza Zaidi and the women`s wing organiser Nishat Zehra addressed the people. 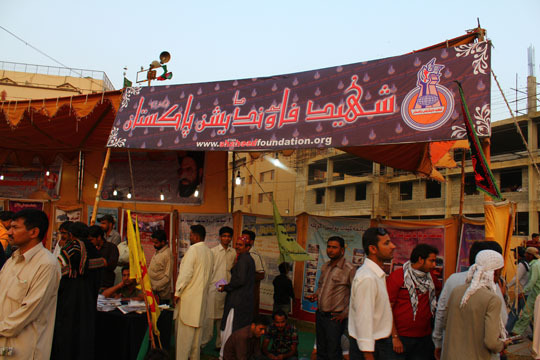 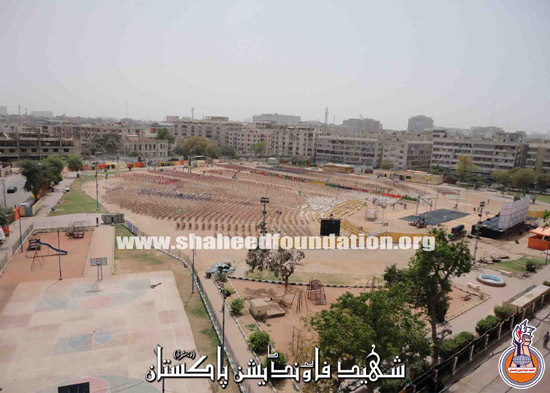 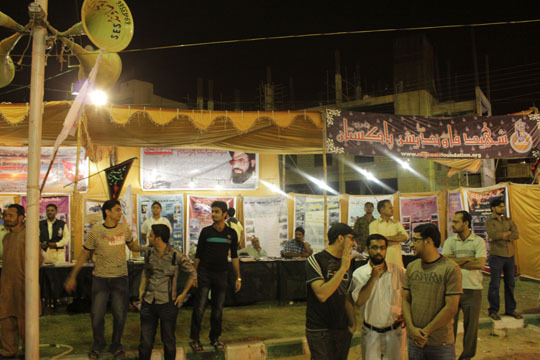 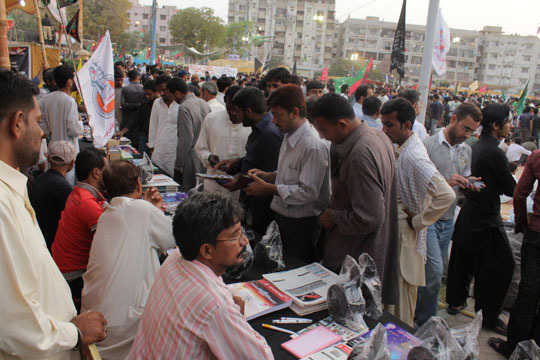 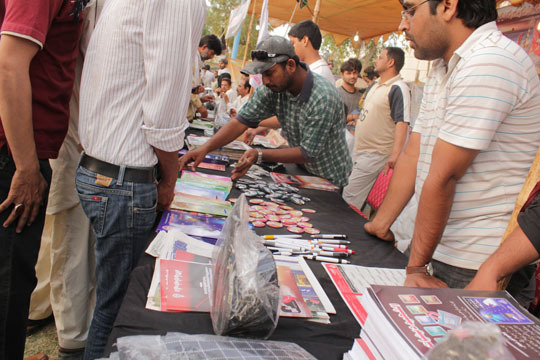 Shaheed Foundation Pakistan had set up a camp in the conference at Nishter Park. 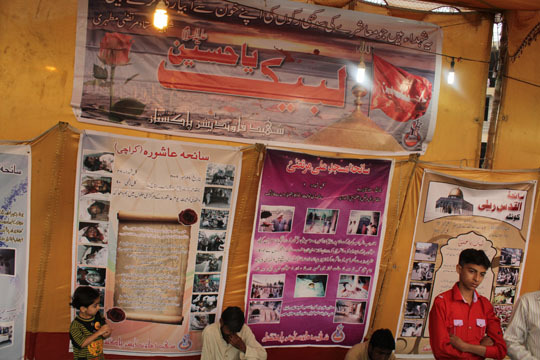 There was Pictorial Exhibition displayed at the camp. 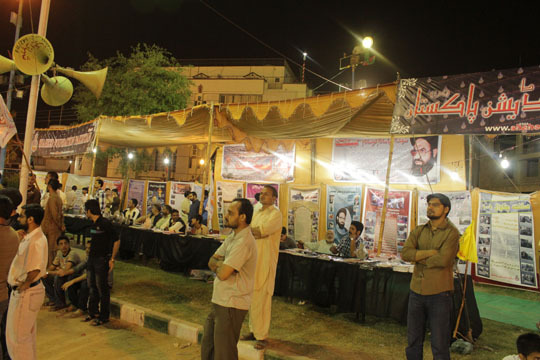 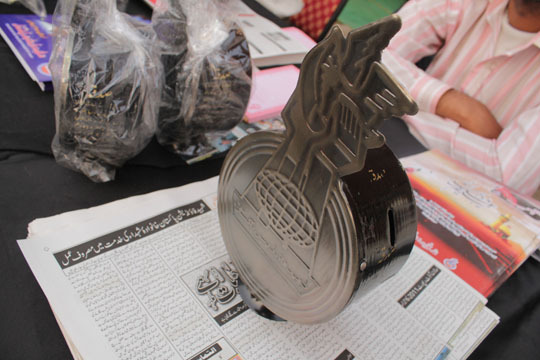 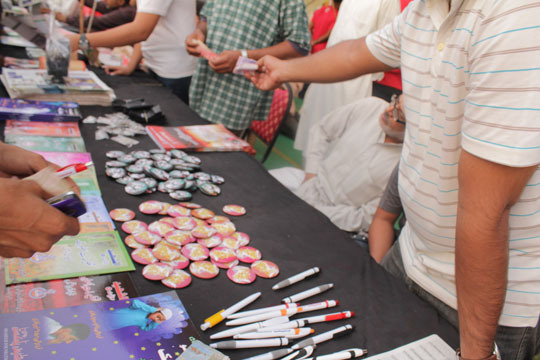 Al-Shaheed Productions were also placed at the stall. 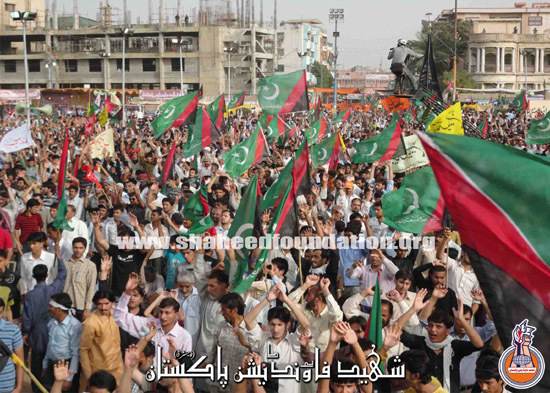 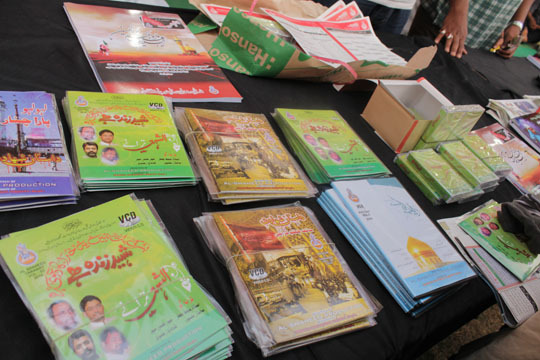 Hand bills, in which the progress and recent activities of Shaheed Foundation Pakistan, were distributed among the people. 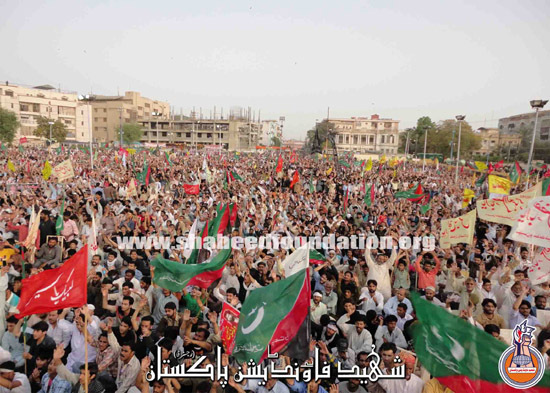 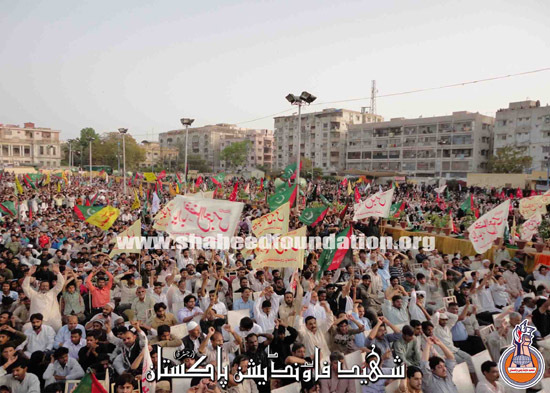 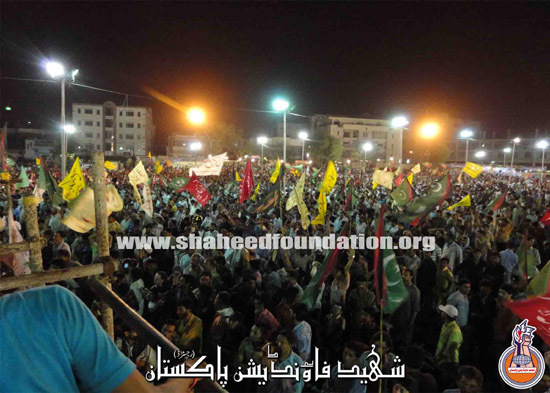 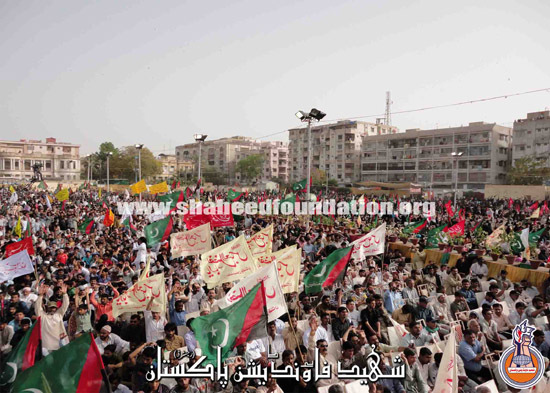 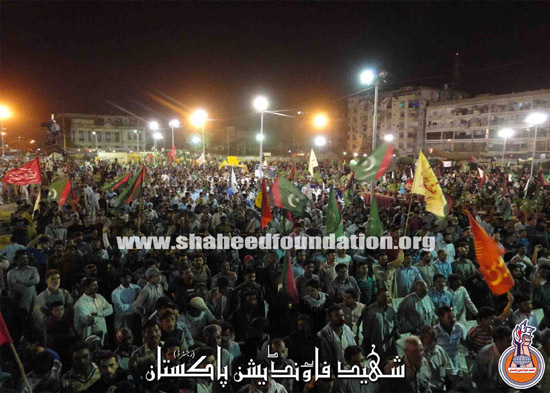 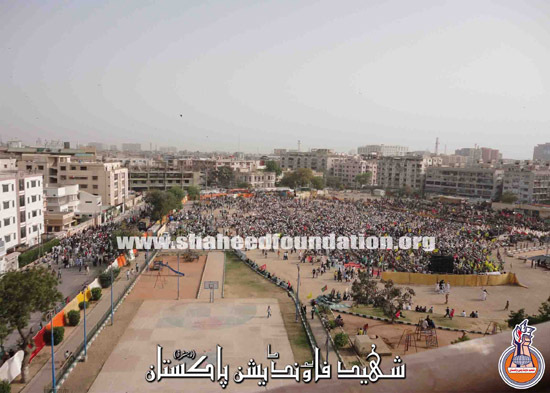 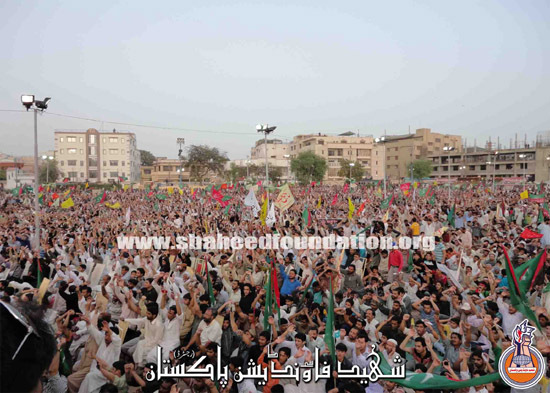 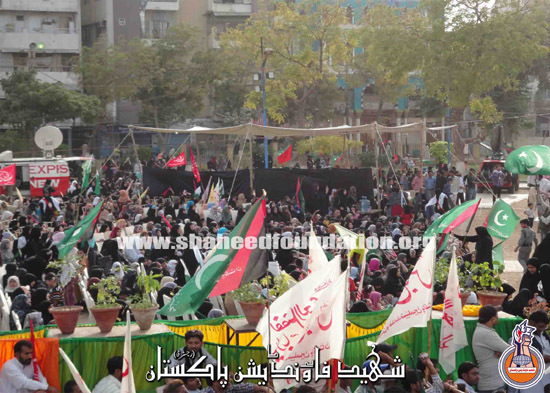 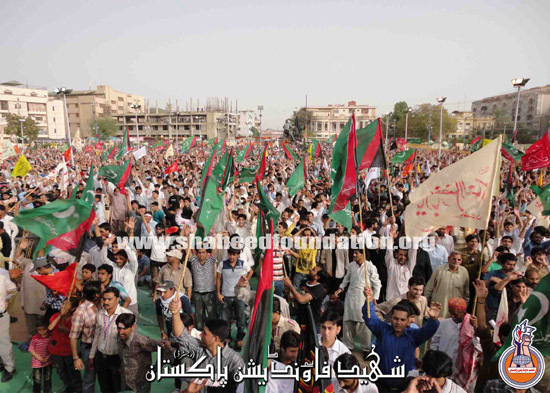 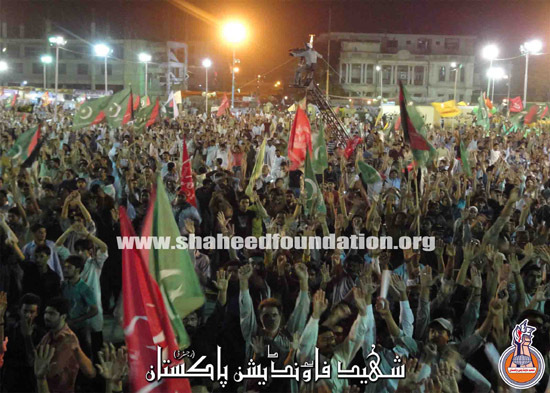 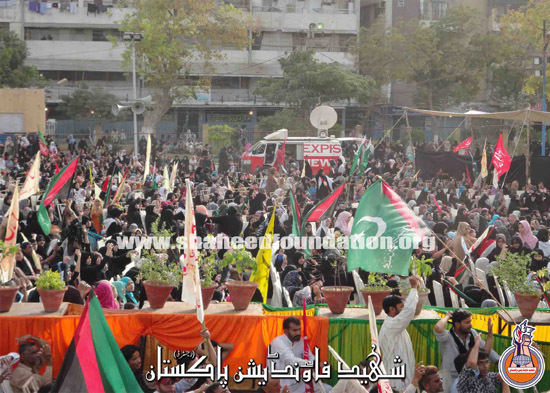 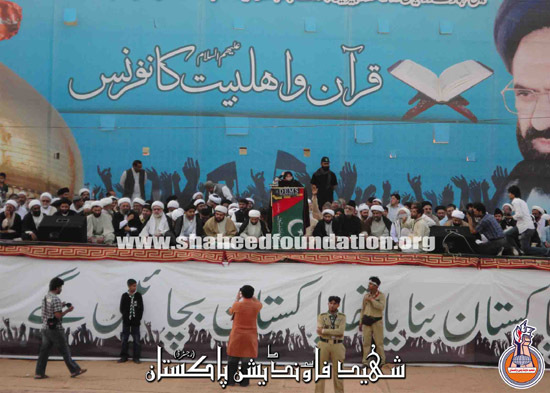 People in multitudes visited the Shaheed Foundation camp.